Show Shuttle | The Ultimate Girl's Day Out! “THE KATY SHUTTLES” will run every 15 minutes between the St. Charles Convention Center (upper level) and the lower level surface construction parking lot at Ameristar Casino Property all three days of the show. See info below. Free parking is available at the St. Charles Convention Center. If these lots are full, additional free parking is available just yards away from the Katy Trail and historic St. Charles, Missouri, at the Ameristar Casino. The lower level surface construction parking of the Ameristar Casino property is under the overpass. From I-70 take exit 229 to S 5th St, and head north. You will see the Casino at this point. At the first light turn right onto Ameristar Blvd. Go over the hill one block to Main St. and turn Right. Do not cross the bridge with your vehicle. Right away you'll see the construction entrance on your left. Park in that lot. Look carefully for Show signage along the nearby streets directing you to the Free parking. This is NOT the same as the Ameristar Casino Parking Garage. 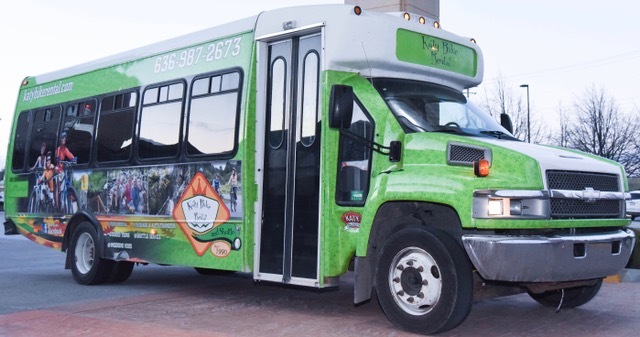 As soon as you see our Green Katy Shuttle, hop on and enjoy the ride! 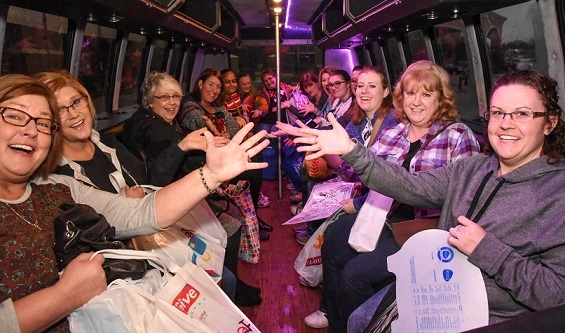 It’s nice and warm and the Shuttle will take you right to the Convention Center Door (upper level) and back to your car at the Ameristar parking lot. If you plan on participating in the 5K race on Saturday, take advantage of the free show ticket that you receive in your Race Packet. The shuttles will begin taking runners to the convention center if they would like go, beginning at 9:45am from the parking areas. Shuttle runs every 15 minutes all weekend long!